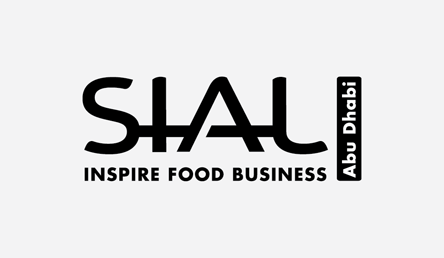 TPCI with the support of Ministry of Commerce and Industry is organizing an India Pavilion at SIAL Middle East (SIAL ME), UAE during December 9-11, 2019. It is an international trade fair for the food and beverage industry, which takes place annually in Abu Dhabi. Exhibitors showcase the latest innovations and technologies for safe, hygienic and efficient production and packaging of food & beverages as well as current developments and trends along the entire value chain. In 2018, the exhibition attracted 1,089 exhibitors, over 40 national pavilions, 28,324 trade attendees and 498 fully hosted VIP buyers. The last edition facilitated 135 trade deals valued at AED 5 billion. UAE’s total merchandise exports stood at at US$ 360 billion in 2017, while imports stood at US$ 268 billion. Agricultural products are among the top import items for the UAE, accounting for 7.4% of total imports in 2016. Ranked among the top trading partners of the UAE, India accounted for 6.9% of total UAE imports in 2016. India’s exports of agro products to the UAE were recorded at US$ 1.3 billion in 2017-18. Top products of export include basmati & non-basmati rice, buffalo meat, alcoholic beverages, sheep/goat meat, fresh fruits & vegetables and onions. Moreover, the fair is a vital conduit for Indian businesses to expand their presence in the lucrative Middle East market. Led by UAE and Saudi Arabia, India’s exports of agro-food products to the West Asia-GCC region reached US$ 3.57 billion in 2017-18.